The brown dust from the departing choppers that carried the SAS squadron south from their base at Tarin Kowt had barely cleared when all hell broke loose. It was October 2010, at the height of the Afghanistan fighting season, and a large Taliban force had established numerous firing positions around heavy machineguns. More than 24 elite Perth-based Diggers from the Special Air Service Regiment were under withering fire. Realising his mates were in grave danger, and with no regard for his own welfare, the SAS Corporal charged headlong into the Taliban machinegun fire. The sight of the 202cm Australian warrior coming at them must have shocked the bearded Afghans. During that fight, according to comrades, “RS” tore a Taliban fighter off his back like an insect, stood on his throat and shot him dead. 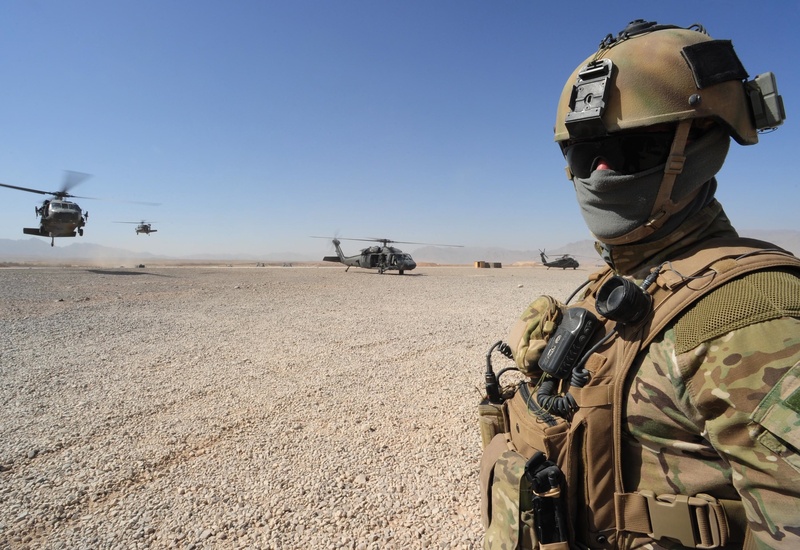 Reporting on the conditions facing members of the Special Operations Task Group (of which the SAS is a part) is a necessary part of painting a picture of the war in Afghanistan for the Australian public. On the other hand, against a context of information scarcity on the conflict, the sexed up nature of McPhedran’s description was uncomfortably magnified. I wish to make clear that my issue with McPhedran is not ad hominem. My issue is with the lack of consistent and informative reports available about the ADF in Afghanistan, brought to light by the nature of McPhedran’s article. Defence’s tight grip on information flow has been striking and to its detriment. In July of last year, journalist Chris Masters imparted to an audience at the Lowy Institute the frustrations involved in trying to report on ADF activity. In November, Prakash Mirchandani pointed out an inconsistency in Defence’s stance on Wikileaks by highlighting the conflicting opinions of two frontline young officers interviewed by an embedded journalist and the Minister for Defence Stephen Smith. The same month, Monash University held a conference on information warfare during which it was revealed Australia was the most restrictive in providing access to defence correspondents in Afghanistan. I cannot help but think that this lack of public information in turn stifles real discussion about our commitment, leaving us with only McPhedran-style action-packed postcards and, more alarmingly, lackluster parliamentary debate (see Prime Minister Julia Gillard’s opening speech here and Opposition Leader Tony Abbott’s here). We owe it to the Australian public and to members of the ADF to depict an honest and comprehensive picture of Afghanistan. The mental image of an SAS soldier with his foot on the throat of an enemy is a rather confronting one. It would be a shame if it turns out to be the most striking. Postscript: For those of you interested in reading about the SAS, let me steer you first towards In Action with the SAS by military historian David Horner, before pointing out McPhedran’s books, The Amazing SAS and Soldiers Without Borders: beyond the SAS. Or, Matthew Reilly. See also, our related article ‘Losing the narrative battle: civilian deaths and Defence PR‘. Associate editor at Australian Policy Online and Researcher with the Monash Global Terrorism Research Centre at Monash University, Andrew Zammit provides comment to my post on Australia’s options with Kopassus. Comer’s critique of the Leahy amendment highlights many flaws in its implementation, but his suggested modifications don’t really provide a way forward for dealing with Kopassus. His suggestion that Leahy should include a mechanism to re-legitimise units which have cleaned themselves up and purged human rights-abusers is perfectly sensible. But the problem with Kopassus, made clear in the human rights reports mentioned in the Deutsche Welle article you cited, is not only past violations but continuing ones, albeit on a far lesser scale. So a Leahy amendment with Cromer’s modifications would probably continue to restrict aid to many Kopassus units. A theme underlying Comer’s piece was that efforts to tackle human rights abuses are more likely to be successful when they are consistent. I’d suggest it follows from that that Australia’s position should be closer to that of the US Congress. US Congressional efforts to hold the Indonesian military accountable have repeatedly been undermined by those who, I’d argue, should have been supporting them. In the mid 1990s the Clinton administration provided high levels of assistance to the Indonesian military that at very least violated the spirit of the Congressional restrictions. The Bush administration criticised the restrictions publicly and repeatedly, which may have signalled to the Indonesian military that the US was not completely serious about human rights reform. As your post pointed out, Obama also undermined Congressional efforts in 2010. In addition to this, throughout these past two decades Australia provided military assistance to Indonesia with fewer restrictions than the US (excluding the period immediately after the East Timor referendum, when both the US and Australia cut off military aid). These inconsistencies would have greatly weakened the pressure that the Leahy amendment and other restrictions were intended to apply, and may well be more important than the specific flaws in the Leahy amendment described by Comer. Current Kopassus commander, Major General Lodewijk Paulus, has stated that he hopes America’s position on assistance to the Indonesian military becomes closer to Australia’s; I hope it’s the other way round. Over at The Afghanistan Analyst, Tim Mathews has compiled and uploaded a comprehensive bibliography on Afghanistan’s legal systems, including traditional and Islamic. You can find a copy here (PDF). In addition, there is the fifth edition of the Afghanistan Analyst Bibliography (PDF); some 187 pages of Afghanistan-related books, journal articles and reports compiled by Christian Bleuer. Last week, the Indonesian National Commission on Human Rights (Komnas HAM) released its preliminary report into the alleged torture of Papuans by the Indonesian military (TNI). Quoted in a Deutsche Welle report on 4 January, the head of the commission, Ifdhal Kasim, confirmed that members of TNI had “grossly violated human rights”. The DW piece finished with Phil Robe’s (deputy director of Human Rights Watch’s Asia Division) call for Australia to put pressure on Indonesia to reform TNI’s Army Special Forces, Kopassus, or risk losing credibility as a country that respects human rights. I was curious to know exactly what HRW meant by “pressure”. In their open letter of 26 October 2010, HRW recommended two lines of action for the Australian Prime Minister: first urge the Indonesian government to undertake further investigations and disciplinary action into allegations of abuse by the military, to adopt legislation to provide civilian criminal court jurisdiction over military personnel responsible for offenses against civilians, and to investigate allegations against Detachment 88; and second tighten up and make public Australia’s vetting procedures for Indonesian security forces. While there have been perennial calls (ostensibly by HRW but also within the Australian press, most recently here) for Australia to get involved, here I examine how much credence HRW’s recommendations deserve. The first set of recommended actions—even if they are in keeping with Australia’s foreign policy leanings—is tantamount, from Indonesia’s perspective, to meddling in another country’s affairs; President SBY warned Prime Minister Gillard ahead of her November visit to Jakarta that Australia’s interference in torture cases was not welcome. Later, during her trip, Prime Minister Gillard accepted President SBY’s assurance that a “full and transparent investigation” would take place. In light of the resultant investigations carried out by Komnas HAM, it is highly unlikely that any other tangible and productive outcome would have transpired from more vocal chiding on behalf of Australia. The second set of HRW recommendations—that is, for Australia to adjust its own rather than Indonesia’s approach to human rights concerns—is far more appropriate. As I have proposed elsewhere, the adoption of a legal standard against which Australia can measure human rights reform within foreign militaries is, albeit complex and ambitious, a pragmatic way of reconciling our foreign policy with our defence engagement. A useful departure point could be the Leahy Amendment to the Foreign Assistance legislation (see s502B and subsequent appropriations legislation). In short, Leahy prohibits US security assistance to military units where there is credible evidence that they have committed “gross violations of human rights”. That said, Leahy is no silver bullet, and it is worth examining some of the challenges involved in adopting a similar legalistic approach. Many of the finer points of these challenges are elaborated further in Charles K. Comer’s critique, but here, I will draw out a few. First, the wording of any test for human rights standards and vetting must be carefully constructed. In the case of Leahy, funding is barred for units rather than individuals where credible evidence demonstrates a gross violation of human rights. In the case of the US and Indonesia, two TNI officers with exemplary records who were denied US funding despite having been born after the violations alleged to have been carried out by their unit occurred (Comer: 63-64). This situation is somewhat mitigated by Australian vetting procedures which seek to minimise contact with individuals who have backgrounds of concern, however there remains a lack of accountability to which standards these backgrounds are compared. The framework provided by Leahy could complement current vetting procedures. Third, Wikileaks cables released in December 2010 revealed that a ban on training (enacted by Leahy) between the US military and Kopassus was lifted due to pressure by Indonesian President SBY (Indonesia denies pressure was applied to lift the ban). Unsurprisingly, this brings to light the ways in which legal protection of human rights standards can be trumped by realpolitik concerns. In the words of Australian Defence Force Academy associate professor Clinton Fernandes, ”[t]he decision to renew links shows contempt not only to the victims of gross human rights violations but to members of the US Congress.” Nonetheless, that Leahy continues to serve as a yardstick of US expectations on human rights remains important, when applied and upheld correctly. By no means should Australia be merely reactive to the calls by organisations like HRW, however, it is worth continuing to debate options proposed and perhaps draw closer to reconciling a desire to uphold human rights and an imperative to engage with Indonesia’s military.